Atlanta-based Cumberland Academy of Georgia recently announced it is launching a new career and college preparation program called Creating Futures. 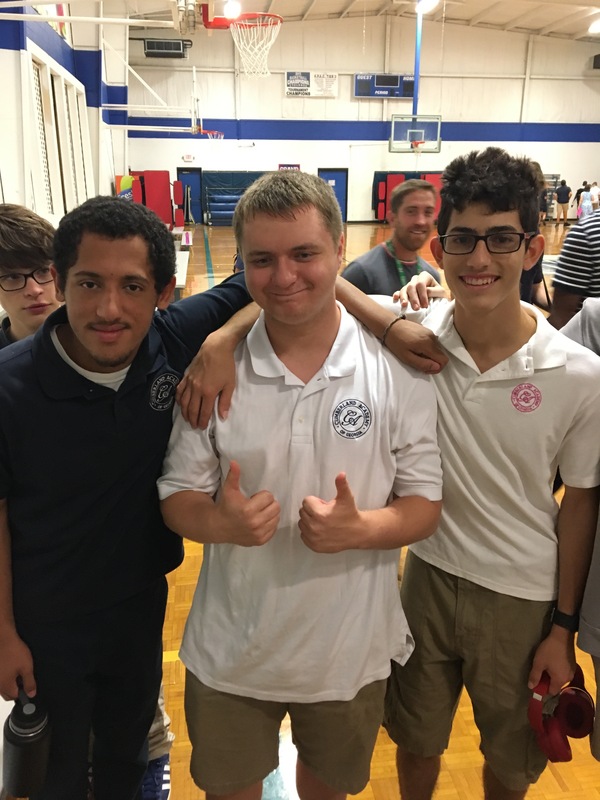 Cumberland Academy of Georgia, a school for students with special needs located in Atlanta, Georgia, is launching a career and college preparation program called Creating Futures. In the past, the school has only had a program to assist seniors for their next step after they leave Cumberland; however, this new program will begin once students enter eighth grade. The main focus of Creating Futures will be to help students build their resumes and develop life skills that will help them in whatever they choose to do after they graduate, whether that is work or school. Once students enter high school, they will be encouraged to begin volunteering or working part time positions. Cumberland Academy already has several partners within the community that work with students. The school plans to develop even more community partnerships in the next couple of years, so students can be employed at establishments they are interested in. In addition, Creating Futures will supply parents with information on available government services that can help assist their child in the future. To kick off Creating Futures, Cumberland Academy will host a college and career fair on October 30, 2018 at 1:30 PM. Representatives from all over the state will be attending including Beacon College, Georgia College and State University, Kennesaw State University, the Tommy Nobis Center, Gwinnett Technical College, Georgia Tech, YMCA, and more. All high school students and their parents are invited to attend. The event is open to the public but a reservation is needed. To reserve a spot, email office@cumberlandacademy.org. Please include your names and the names of anyone who will be attending with you. Cumberland Academy of Georgia specializes in the needs of students in grades 4 through 12 who have high-functioning autism, Asperger’s syndrome, attention deficit disorder (ADD), attention deficit hyperactivity disorder (ADHD) and learning disabilities. Cumberland was founded in 2007 by Debbi and Matthew Scarborough, and is a fully-accredited, independent, non-profit school that seeks to provide a safe and supportive academic atmosphere for its students. Cumberland accepts applications year-round. To schedule a family tour, please contact Terri Brooks, director of admissions, at 404-835-9000, or email admissions@cumberlandacademy.org.